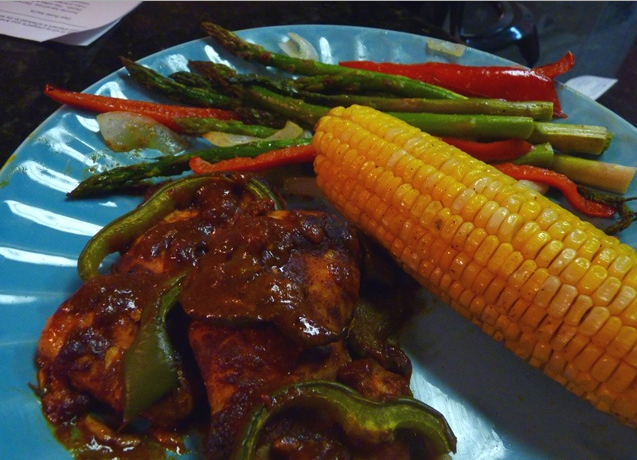 You are here: Home / Recipes / Dinner / Red Chile Chicken! 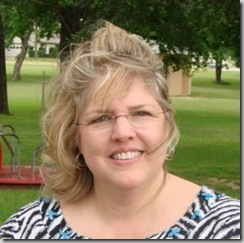 Susan is back with Red Chile Chicken! This is such an easy meal that I can almost not even consider it a recipe. So, I decided to include a recipe by A Cowboy in the Kitchen cookbook author( and awesome cook), Grady Spears. I have made it a few times and it is absolutely my favorite, but a little tedious. First, let me tell you the easy (and store bought sauce) version. Oh My! It was so tasty. 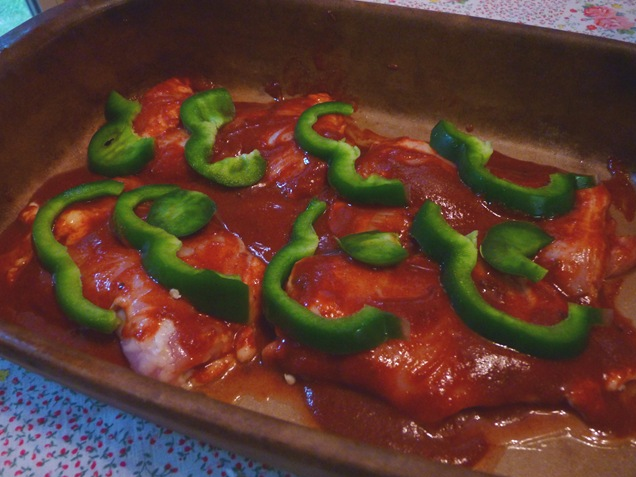 Place the chicken in a pan and pour the red chile sauce over it. 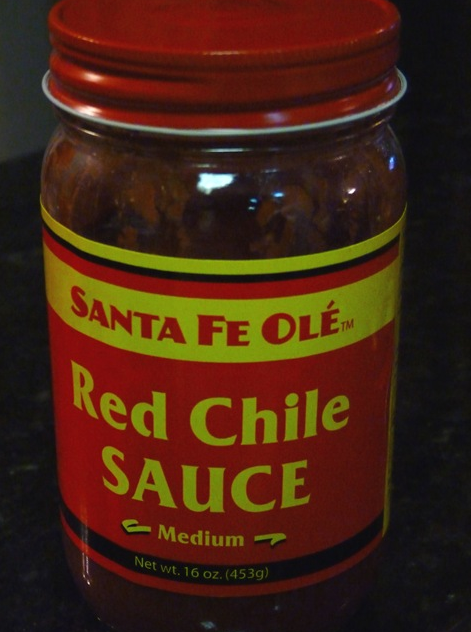 My chile sauce was bought at the Santa Fe Cooking School. Top the chicken with garlic powder, bell pepper rings, salt and pepper. Cook for 40 minutes at 350. This time may vary if you are using chicken breasts, depending on how thick they are. 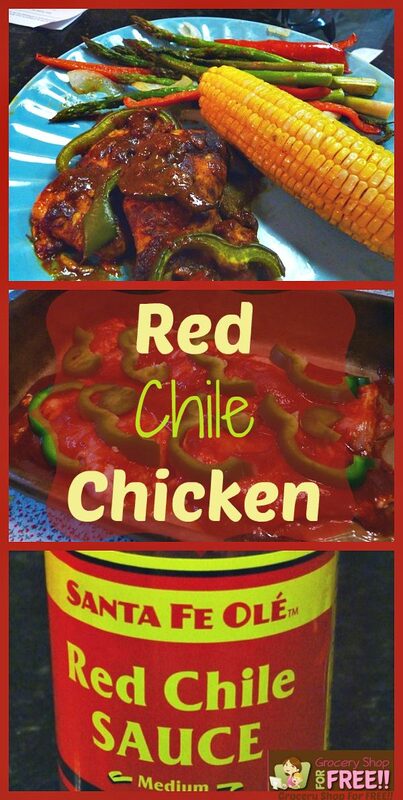 Here is a link to purchase the Red Chile Sauce. Slit the peppers and remove the seeds and stem. Put the peppers into a pot and pour the chicken stock over them. Add the onions and garlic. Simmer for about 15 minutes until the peppers become softened and then put it all in a blender to puree. Put the first 4 ingredients in a blender and puree. Add salt to taste. Heat oil in a skillet and add the sauce. Cook for about 3 minutes. Use the sauce over enchiladas (or whatever) and store extra in the refrigerator for up to 1 week.